Product prices and availability are accurate as of 2019-04-16 20:35:02 EDT and are subject to change. Any price and availability information displayed on http://www.amazon.com/ at the time of purchase will apply to the purchase of this product. 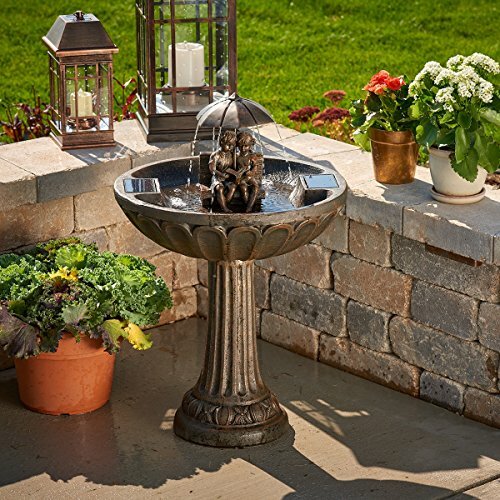 The Smart Solar Story Time Solar Fountain is a sweet story played out in your backyard. 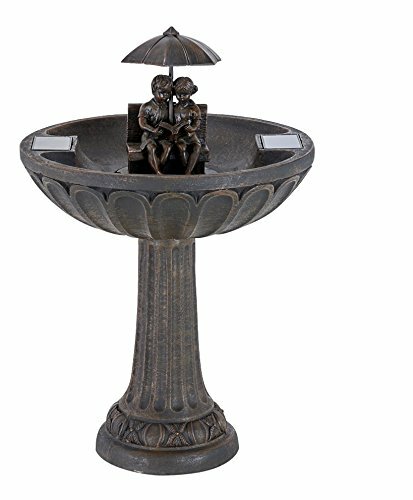 This solar powered water feature is made of lightweight durable resin and fiberglass shaped into a sweet boy and girl sitting on a bench reading while sharing an umbrella. The fountain pulls water up from the reservoir to create their raindrops. 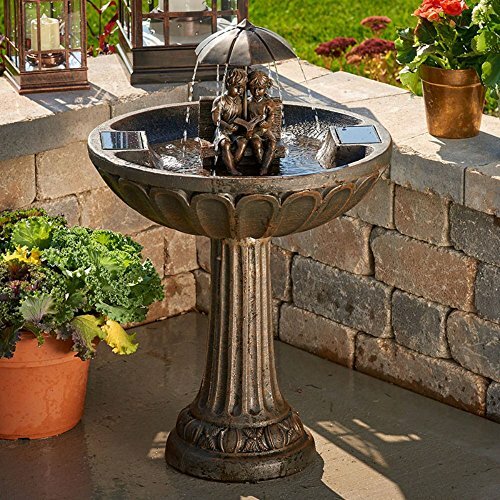 An aged bronze finish enhances the details of this adorable garden accessory. Requires no wiring, simply install and enjoy. Additional Information Utilizes Smart Solar dual solar panel technology Does not require a cord Low maintenance resin construction, simply drain, wipe down, rinse, and refill No operating costs Driven by a strong belief in the environmental benefits of solar power, and the realization that consumers are becoming increasingly environmentally aware with an interest in buying solar-powered products, Smart Solar was created in 2003. Based near Oxford in the U.K., Smart Solar has offices in the U.S. and Germany, and a manufacturing facility in Thailand. 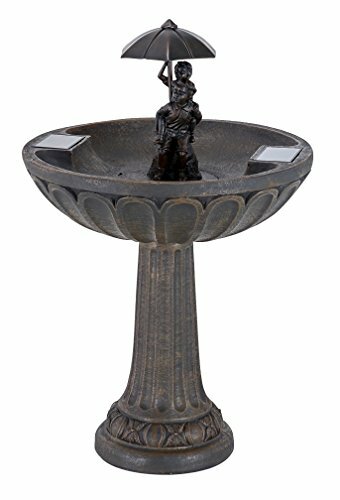 Smart Solar offers products including solar pumps, water features, lights, ventilators, chargers, and specialty garden items. With an eye for fulfilling future consumer needs, and a heart for preserving the environment, Smart Solar is devoted to developing innovative, high-quality, and dependable solar-powered products. Additional limited-time savings reflected in current price. Whimsical water fountain of boy and girl under an umbrella. Resin and fiberglass with aged bronze finish. No wiring required, draws water from reservoir. Operates in direct sun, holds 1 gallon water. Dimensions: 22W x 22W x 33H inches.